Conservationists have hit out at a brewery in Iceland which is making a beer using smoked whale testicles. Icelandic brewery Stedji, which is producing the beer in time for the country's mid-winter festival, Thorri, said the Hvalur 2 beer was made with the testicles of fin whales - which are endangered - smoked in a "traditional way" with dried sheep dung. The move, which comes a year after the brewery launched a beer for Thorri containing whale meat, has angered conservationists who claimed the "dying" whaling industry in Iceland was trying to create markets for its products. Vanessa Williams-Grey, anti-whaling campaigner at Whale and Dolphin Conservation, said: " This is a calculated move, not only to dishonour a beautiful and endangered creature by using its most intimate of body parts as a marketing tool, but also sends a clear 'two fingers' to the conservation community and those who love and respect whales.
" Right-minded people would no sooner drink beer brewed with whale testicles than they would order similar drinks made with tiger, elephant or rhino testicles and our hope, of course, is that visitors to Iceland will treat this latest offering with the disdain it deserves." Dagbjartur Ariliusson, from the brewery, said: "We live in a country that allows whaling and the whaling is very well controlled by the Icelandic authorities, but fisheries here are self sustainable and very responsible. 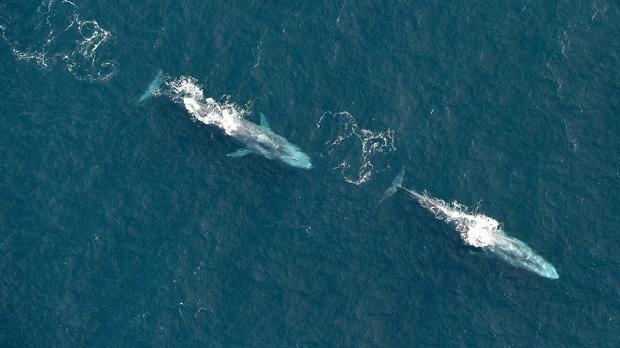 "According to our research the fin whale in North Atlantic is not at risk of extinction." He added that in the past, Icelandic people made food out of all possible ingredients, and during Thorri eat food ranging from rams' testicles to rotten sharks. "We consider this ingredient to be in the style of Thorri," he said.